On Jan. 1, California legalized weed. It marks a momentous occasion — a battle well fought and a job well done. We did that, seeing that the charge was led heavily by college students and criminal justice activists. Pats on the back, everyone. But while Black and Latinx entrepreneurs sat in jail and were punished with decades of jail time under California’s harsh drug sentences, white people were more likely to avoid the slap on the wrist, buy land, prepare thousands of plants and wait comfortably for the drug to go legal. Here’s the facts. There’s data out there to show that racial discrimination around weed-related offenses meant that Black and Latinx people were almost four times more likely to be arrested for the now void crime, despite Black, Latinx and white folks using weed at the same rates. Marijuana arrests account for more than half of all drug arrests in the United States. Because of the systemic groundwork created by the War on Drugs, an entire private prison industry depends on the consistent provision of bodies. In California, this is especially true, for the liberal blue state has the largest prison population and some of the harshest drug laws. Nationwide, marijuana arrests provided 52 percent of all drugs arrest in 2010. This means that the jails were filled with Black and Latinx people in the first place, while white people, especially those that are better off, are commonly charged with possession and given a $500 fine according to Lynne Lyman, the California state director for the Drug Policy Alliance. In fact, in Humboldt County, there are people with acres of land, overhead, infrastructure, thousands of plants and trust funds devoted to this now legal market. The disparities of generational wealth and privilege created by the War on Drugs are mountainous. Imagine, a billion-dollar industry that was legalized at just the right time for people to capitalize. The thing is, the white and the rich have been growing weed in Humboldt County since the hippie movement of the ‘70s with little to no consequences, while Black and brown people growing and selling to survive were rounded up and sentenced with 25 to life. Entire towns are funded by thousands of plants in places such as Humboldt County, while families are torn apart by less than an ounce in places where minority communities are concentrated. The playing field is vastly skewed, and despite the best intentions of this law, it does nothing to change that. Nevertheless, the law has its silver lining. Though it does not undo the discrepancy of privilege surrounding weed, Proposition 64 does do something great for California’s entrepreneurs behind bars. 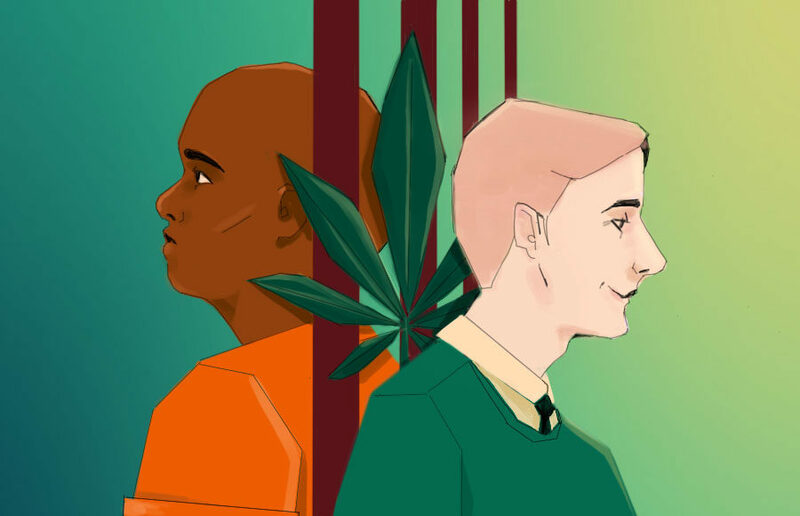 According to the Law Offices of Bamieh & Erickson, “In addition to the roughly 6,000 inmates whose sentences could be shortened or terminated, approximately one million others would gain the opportunity to petition for their criminal records to be cleared of prior marijuana-related felonies or misdemeanors.” The bill works retroactively, which means that if California is going to legalize the sale of weed starting in 2018, then California will be required to release all the business owners and entrepreneurs that have been arrested and jailed for the sale and use of cannabis. And that’s great. Freedom is sweet and well-deserved. But more lies under the surface of a legalized cannabis industry. The Organization of the Petroleum Exporting Countries works like this: Enough oil producers create a coalition and induce a monopoly over enough of the market that they’re able to control prices. The control of the price means that they can make it impossible for other producers to enter the market and survive long enough to be an actual competitor. They effectively insulate the market, making it hard for even the U.S. government to penetrate it. This is what privileged farmers want to do with the weed market. With the advantage that white landowners have, they now want to insulate the weed market. Afraid of too many growers entering the market to deflate prices, there is discussion of a desire to create an organization of weed-growing plantations. Now that the plant is legal, white weed growers are trying to capture the entire market and shut everyone else out. Therefore, even if the law releases all the people charged by the state of California for marijuana possession, these entrepreneurs and citizens will need permits to grow and sell, all the while the white and wealthy are buying acres with inheritances for mass production. They will have effectively stolen an entire industry from people with my complexion by jailing us all first, criminalizing us and then at the 11th hour saying, “Oh, it’s all fine now.” While they profit from this industry, people like me and communities of color have had our legs taken right from under us. The effects of this law are already percolating into our everyday lives. Weed vendors come out of the shadows, new phone apps are released, and billboard ads feature some foreign perception of the young, free urbanite whose smile indicates the safety and friendliness of pot, so much so that anyone can get it with the press of a button. When I see these facades, one should not forget the lone entrepreneur who was arrested and given life without parole for providing a regulated, now-legal product. The repercussions of legalizing an industry that could get a Black or Latinx entrepreneur a sentence of 25 years to life in California’s criminal “justice” system is hypocrisy, theft and anger. Dominick Williams is a junior at UC Berkeley and the legislative director of the ASUC Office of the EAVP.